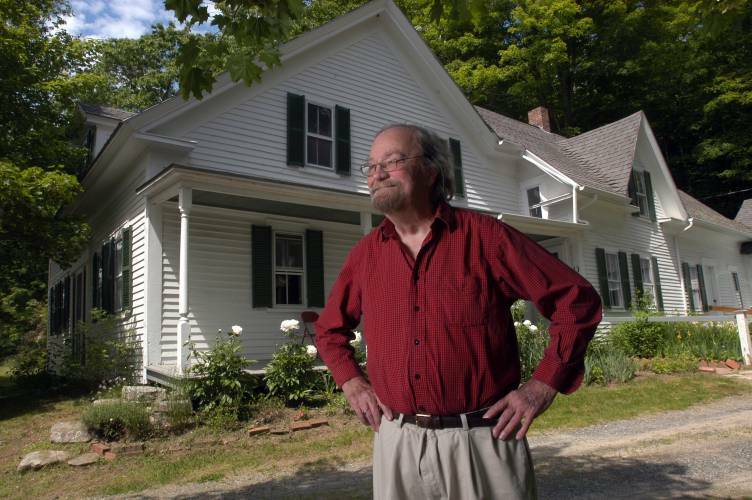 When Donald Hall passed away last week the obituary in his local New Hampshire newspaper made clear what an exceptional and instructive life he had lived, one stirring in its summons to ancient traditions and pieties and yet in some ways marred by uncertainties regarding how we are to inherit and respect them. Hall was born into the middle generation of English and American poets, a remarkable period whose oldest members were Robert Lowell, W.S. Graham, Charles Causley, and May Swenson and whose youngest included Geoffrey Hill, Elizabeth Jennings, and Wesley Trimpi. These were men and women who reached maturity just before and during the Second World War. Lowell’s mature life would be launched by his conscientious objection, grounded in a radical Catholic pacifism, but others, including the brightest lights of the generation, Richard Wilbur and Anthony Hecht, would be formed by the horrors they saw while serving in Europe. Wilbur spent months at the front end of the American invasion; Hecht arrived just in time to witness the liberation of the concentration camps, where he would serve as a translator. What Hecht saw there would haunt him for decades. The English returned to reform a literary culture that had grown weary of the outrageous experimentations of modernism with their grand Wagnerian themes of the twilight of civilization. Kingsley Amis and Philip Larkin are the best loved figures of this time whose poems articulate an attachment to a little, more modest England, one that is stout but disillusioned, faithful but unloving. The Americans returned to something far greater in scale. The G.I. Bill would allow the largest expansion of higher education in the country’s history, and this provided an entrée for the poets of the previous generation to expand literary education on principles previously articulated in the little magazines and manifestos of New York and London. This change was ushered in by the southern poet John Crowe Ransom and named after his book on the subject, The New Criticism. Its exemplary figure was the poet-professor whose scholarly expertise was rooted firmly, sometimes idiosyncratically, in artistic practice. Allen Tate, Robert Penn Warren, Yvor Winters, and later Austin Warren, Cleanth Brookes, and W.K. Wimsatt, would shape literary education for more than two decades. With the New Criticism’s standards of taste leading the way, younger poets imitated the taut forms of the seventeenth-century metaphysical poets and came to be called the New Formalists, their poems infused with a tense, rough meter and an ironic and polysemantic wit. It resulted in what was at once a very traditional and cosmopolitan period style. It was well suited to a country whose vision had been expanded by painful adventures abroad but whose concern was the establishment of a new but familiar order. Winters, one of the most formidable leaders of the New Criticism, wrote in his poem, “To a Military Rifle,” that he longed for the young men of the War to finish their necessary fight and to return to the life of learning that he and others had helped make possible and which those men, as his students, had cherished. The new urbane, formal style was announced in a pair of anthologies edited by Donald Hall, Robert Pack, and Louis Simpson—and introduced by Robert Frost—called New Poets of England and America, first published in 1957. It should be a classic of our literature, but for one thing: it was only too coherent. Its poets were all learned; their forms ruffled by the difficulties of T.S. Eliot and Ezra Pound but staid by a keen sense of the formal tensions one could create with rhyme. Few of them appreciated rhyme and meter as an extension into words of music; they saw it more properly as a technique of the intellect. Spiritually if not physically far from the halls of the New Criticism, poets already known as “Beat,” or as part of the San Francisco “Renaissance,” were writing in formless, breathless lines loosely inspired by Walt Whitman and jazz improvisation. Some resisted these barbaric new sounds outright. Wilbur, Hecht, James Merrill, and others maintained confidence that the style they had developed was the suitable one for the age and for any age. It could represent the fullness of modern experience, however horrifying, and still comprehend it with form, feeling, and reason. Winters was asked to go on the radio to discuss his work in poetry and criticism in the context of the San Francisco scene, but he refused. He saw no connection between what was going on in coffee shops and what was going on in serious literature. There was no reason to pretend otherwise. But the response of many of the post-War poets to these new sounds was in some ways a loss of heart, a sense that more colloquial and prosaic speech reflected the post-War age more justly than their “well-wrought urns.” These post-War poets loosened their style, changed the subjects of their attention, and consummated the revolution taking place far away within themselves. During this same period he was already writing poems in the anti-poetic style of William Carlos Williams, and soon it would be Williams rather than Winters who seemed the more trustworthy guide. Ransom would write to Lowell that the new, “raw” poetry had an unfair advantage over the “cooked” formal work in that it was more pleasant to the ear. Again, while we might think of rhyme and meter as first audible refinements of language, in this period, they were more often artifices of the intellect alone. The “New Formalism” was retitled “academic formalism,” out of contempt (leaving room for a latter movement in a more colloquial style of metrical verse to claim the name decades later). It had been rendered fragile, I think, by its practitioners being at once too conscious of what they were attempting and too unsure of the nature of poetry as a historical practice. They felt the times too keenly and, unable to answer its charges, flinched. Though Hall’s style followed the trends of the time, abandoning meter and rhyme for “free verse,” his career would nonetheless remain within the world that Winters and Ransom had helped to create, with teaching positions at prestigious universities (including the University of Michigan, which had been home to Austin Warren and other distinguished New Critics). He edited the Paris Review, for which Hall interviewed the most important poets of the century; his conversation with T.S. Eliot elicited one of the few unguarded statements about that master’s poetic practice, that with Marianne Moore is the source of her most memorable and helpful statement about her odd constructions of language as being called poetry only because there was no other word for them. Later, he would write insightful, if highly subjective, memoirs of other great poets, including Winters. He and most other poets of his generation found a way of integrating the loosened free verse conventions into the still, in some sense, flourishing institutions of poetry within the academy. In 1972, Hall, divorced five years previous, married his former Michigan student, Jane Kenyon, and they soon settled on Hall’s ancestral home place, a dairy farm outside Wilmot, New Hampshire. With this return home he left behind the external trappings of his career in poetry, its cosmopolitan magazine and far flung hopping between academic appointments. Hall’s style continued to grow more familiar and colloquial, his subjects turned more frequently to the quotidian stuff of the place where he lived. Their lives defined by the solitude of the farmhouse and the New England countryside, Kenyon and Hall lived for years off their work. Many people will remember hearing stories of his sitting in his den, the Red Sox on the radio, and he at work on poetry or essay or memoir. It is easy to admire this departure from the seemingly rootless constellations of the literary academy and to see that Hall cultivated an appealing literary voice in the subsequent decades that maintained the lyric concerns of his early writings with the looser, more prosaic, forms that had emerged in the early ‘sixties. Five A.M., the Fourth of July. we learned that you would die. and watch Red Sox baseball. For my part, I see the sense of an absolute dualism commanding us to choose our allegiance—between the academy and the ancestral home, between meter and “free” verse, between intellect and experience—as one of the misfortunes of Hall’s life and of our American culture more generally. If we must be presented with such a decision, I admire, and think we all should admire, Hall’s electing to take the route to the country and to choose to be settled and faithful after having first known the opposite. But a civilization cannot flourish, cannot become a proper home where we truly settle, if we construct it out of such categorical divisions. American culture has been formed by its pioneering spirit and its travails at the frontier, but that does not mean a settled culture is outside the properly American. Rather, a sign of settlement, of faithfulness and growth, should be the emergence, and the unsteady and uneven refinements, of traditions, manners, conventions, and forms—a putting down of roots after rootlessness and a building up of permanent forms rather than making wildness itself a perennial fashion. If we look at our actual lives, we’ll find there’s no real choice between the two. A settled people will cultivate good universities to educate their citizens rather than to uproot them. It will revere its untamed early achievements but not view refinement—when it genuinely is refinement—as a betrayal. A settled literature will learn to enfold the microwavable Stouffer’s into the metrical patterns that have developed in different languages and in different ways over millennia. The stark choices and sudden abandonments that shaped mid-century literary culture in the twentieth century do not provide us a good model for how to attain to such a thing. It was too astringent in its early principles and too ready to surrender to the “inevitability” of history when it was still unclear where that history was leading. And yet, they remain instructive. The achievements of figures such as Winter, Wilbur, and Hall contain many riches on which our country may draw as it tries—and tries again—to establish a civilization worthy of itself. Next articleWhat Do Farmers Want? It is a non sequitur, but I am wondering on the death of such a great anthologist as Donald Hall — what you think of the The Anthologist by Nicholson Baker? Great appraisal of Hall here. I have begun to wonder if Wendell Berry’s earlier return home influenced Hall’s decision or that Hall’s return home further cemented the two as kindred spirits. Certainly, Berry gives much credit for his own poetry to Hall’s encouragement, advice, and friendship. In terms of their engagement with American culture, might the two be seen as lyric satirists in the mode of Horace? Or how would you compare the formalists and free verse practitioners with reference to the politicalization of poetry?